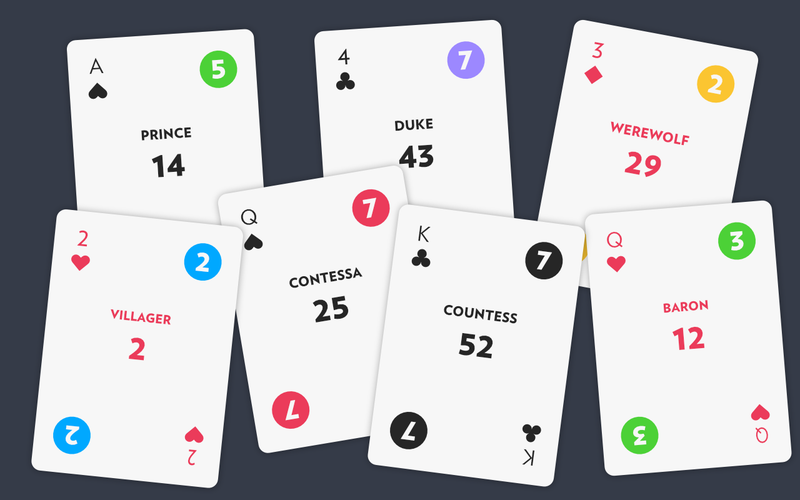 Anton Ödman has done a cool and very space-conscious thing: he’s designed a single deck of cards—known as a “multideck”—that can play a wide variety of different types of games, not just those reliant on Kings and Queens and an eight of clubs. Though not a professional designer (nor the first person to try this), his work is nice and clean, and easy to parse at a glance. A traditional 52-card deck is represented in two corners, while a six -suit game (like Schotten Totten or Arboretum) is shown using coloured circles opposing them. This big numbers in the middle are for card number games, while the text lets the deck incorporate role games like Coup, which is really neat because it’s able to work in tandem with the coloured six-suit numbers. Other role games that work with the deck include Love Letter and One Night Ultimate Werewolf. Ödman plans on releasing the print-and-play version of his deck once he’s finished it. You can keep up with it here, and if you want to check out other multidecks, you should take a look at Flexicat and Skeleton Deck as well (though I’m posting about this one here in particular because I think it looks so nice!). UPDATE: OK, the deck is now finished and available to print/buy!